The Little Prince was originally a French novella published in 1943 by aristocrat, writer, poet and pioneering aviator Antoine de Saint-Exupéry (1900–1944). The novella is both the most-read and most-translated book in the French language, and was voted the best book of the 20th century in France. Translated into more than 250 languages and dialects (as well as braille). It is one of the best-selling books ever published! The narrator explains that, as a young boy, he once drew a picture of a boa constrictor with an elephant digesting in its stomach; however, every adult who saw the picture would mistakenly interpret it as a drawing of a hat. Whenever he explained the drawing people would tell him to give it up drawing and so something else. Now an adult himself, the narrator has become a pilot, and, one day, his plane crashes in the Sahara desert, Here, he meets a young boy whom he refers to as “the little prince”. The little prince asks the narrator to draw a sheep. The narrator first shows him his old picture of the elephant inside the snake, which, to the narrator’s surprise, the prince interprets correctly. Over eight days stranded in the desert, the narrator attempts to repair his plane and draws pictures for the little prince while he recounts the story of his life. 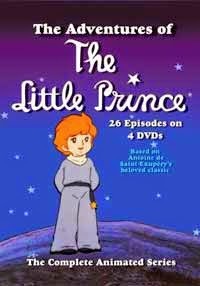 The prince begins by describing life on his tiny home planet. After many adaptations it is being adapted into an animated film, this time by Kung Fu Panda director Mark Osborne. It releases in October 2015, France. Watch the trailer below.